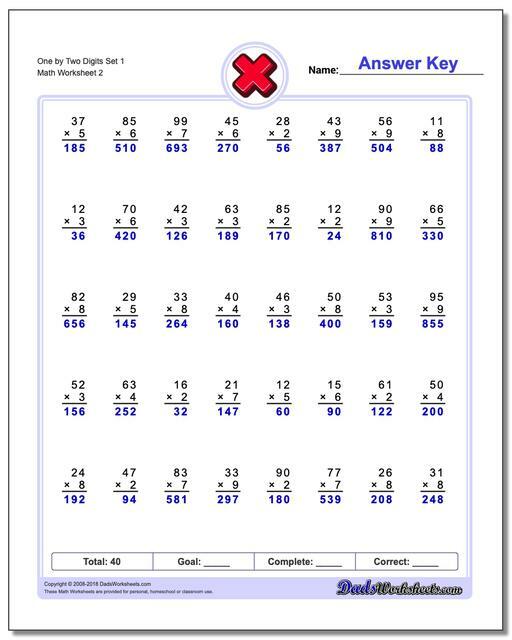 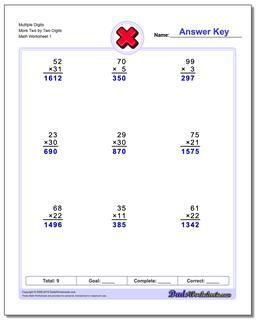 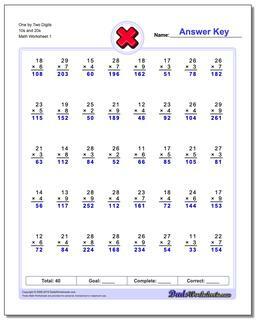 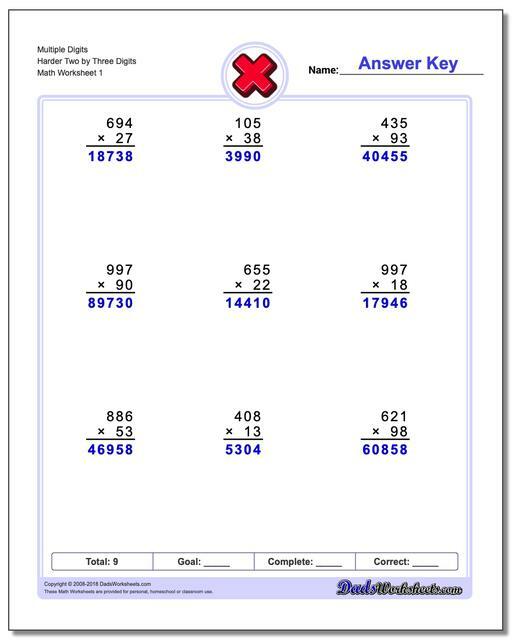 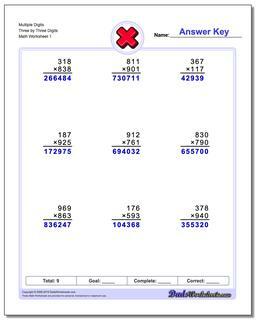 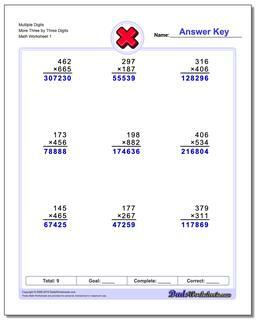 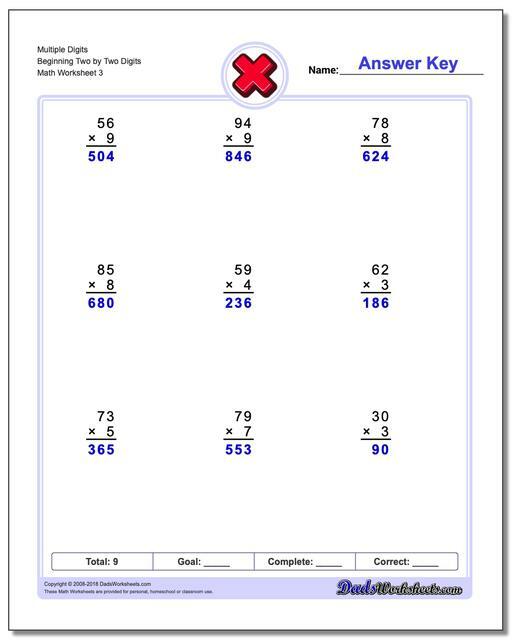 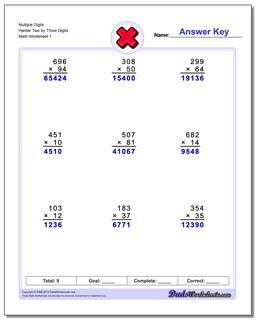 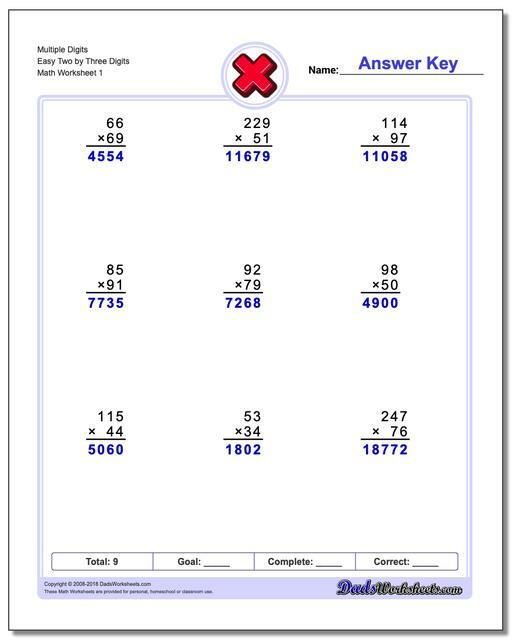 These multiplication worksheets introduce two digit and three digit multiplication problems. 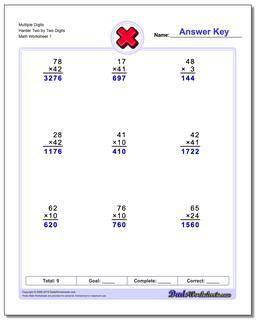 Try out this multiplication calculator to see interactively how to do long multiplication. 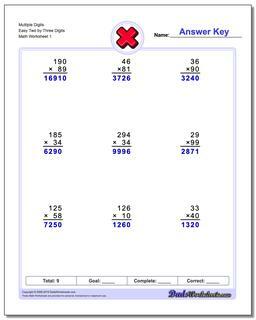 Once we venture away from the multiplication facts that are easily memorized, dealing with long multiplication problems becomes more a task that requires more discipline and a procedure. These worksheets start gently with multiplication of smaller two digit numbers by a single digit, and gradually progress upwards to two digit by two digit multiplication and three digit by three digit multiplication. There are several variants of each class of worksheet to allow for plenty of practice.